Dr. Cole will be offering FREE no obligation consultations in New York this weekend, Jan 26th and 27th. Dr. Cole has been practicing FUE longer than any other doctors in the US. He is well known for his repair work as well. 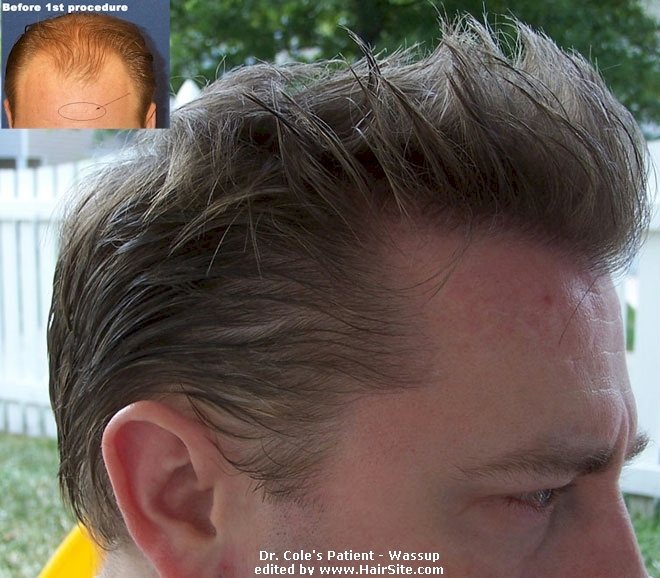 Dr. Cole has published more patient results in HairSite than any other US doctors. FUE stands for Follicular Unit Extraction. No knife, no scalpe, no stitches, no visible scarring. With FUE, you can even use your body hair as donor and transplant them to thinning areas in your scalp. Schedule your appointment now to find out if you are a good candidate for FUE, how many grafts do you need, and the cost etc. Please complete the contact form below via email or fax 678-566-1957. You can also call toll free (800) 368-4247.